Gauthier's Saranac Lake Inn is located right in the heart of the Adirondack Mountains, on the shoreline of Lake Flower in Saranac Lake, New York. 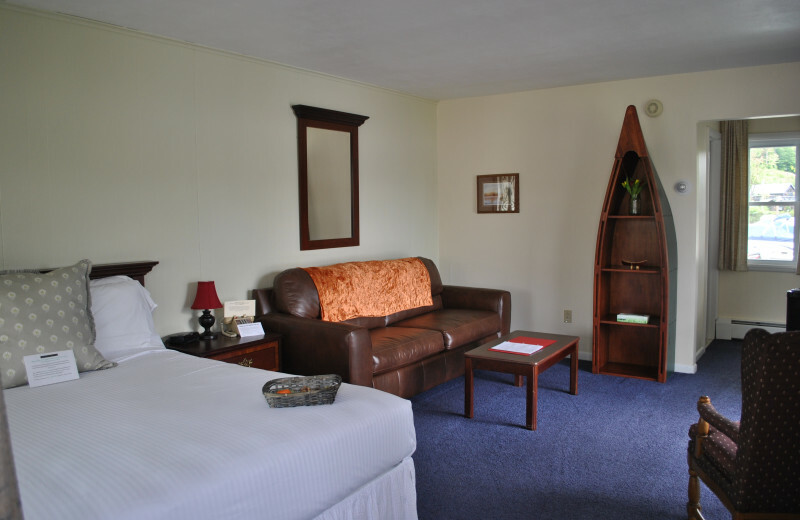 Dedicated to fit any style, occasion, and budget, Gauthier's Saranac Lake Inn features 31 vintage furnished guest rooms. Each of those rooms features sustainable fabrics, recycled tiles, natural OH-SO sweet honey bath amenities, and organic linens that make your stay a "chic comfort" in harmony with Mother Nature. When you're not lounging in your room, the outdoor solar heated pool, and basketball and tennis courts are perfect to keep everyone entertained. Don't worry, they provide the balls and rackets! 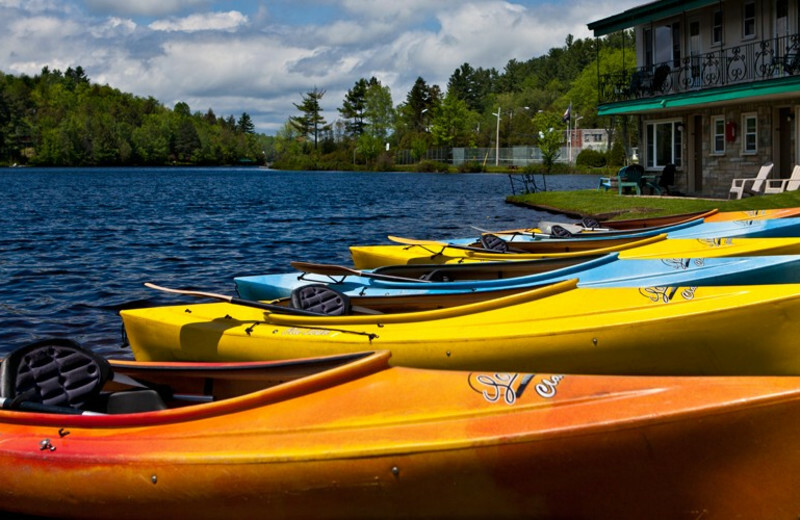 And if you ever decide to leave the comfort of the inn, the Adirondack Mountains offer endless outdoor adventures including fishing, hiking, kayaking and more! 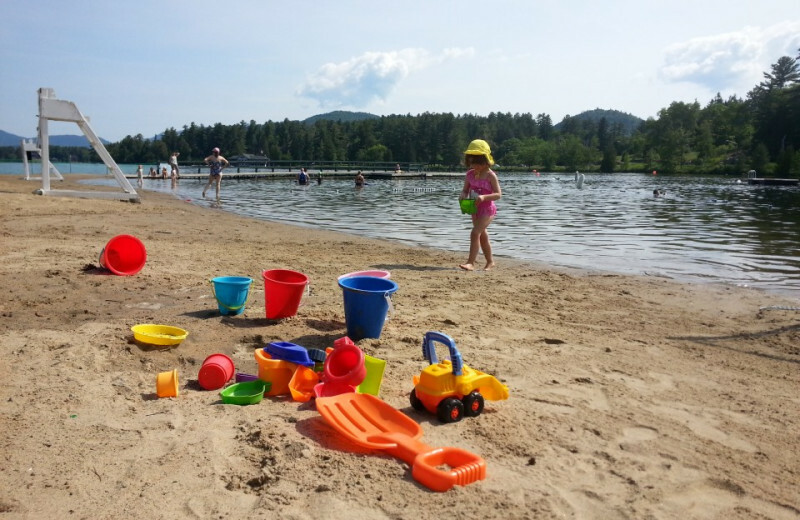 Gauthier's Saranac Lake Inn is the perfect year-round family destination. 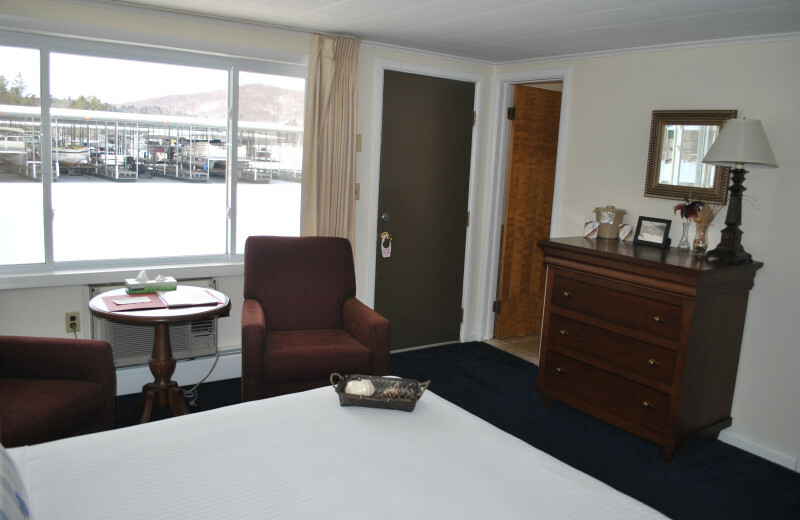 Their accommodations provide you with all the comforts of home such as wireless internet, microwave, and refrigerator. When you're not lounging inside, step into the refreshing outdoors and bask in the views of the Adirondacks and Lake Flower. Take out a kayak or paddle-boat to explore the waters straight from their shores, or just lounge at the onsite swimming pool. There's also onsite basketball and tennis that will keep everyone entertained! 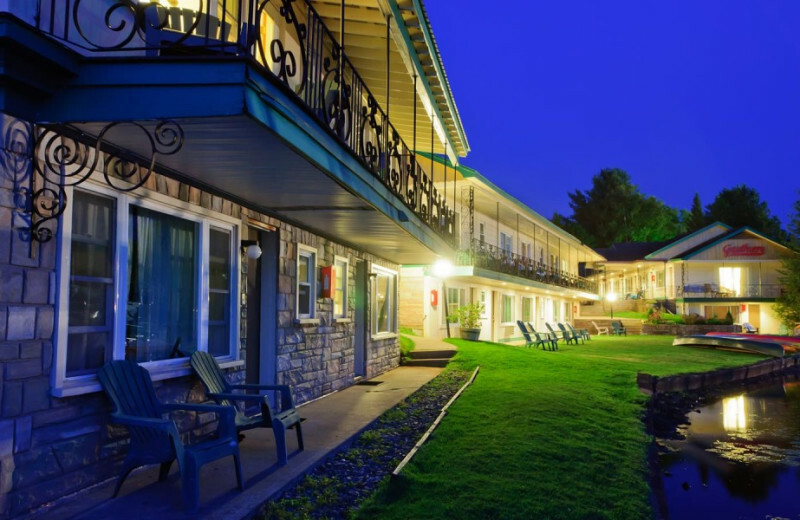 When you visit Gauthier's Saranac Lake Inn, you can't miss the opportunity to enjoy all that the Adirondacks has to offer. Whether you go on a guided hiking trip through the mountain trails, or spend a day kayaking or canoeing on the lake, Mother Nature won't stop surprising you! 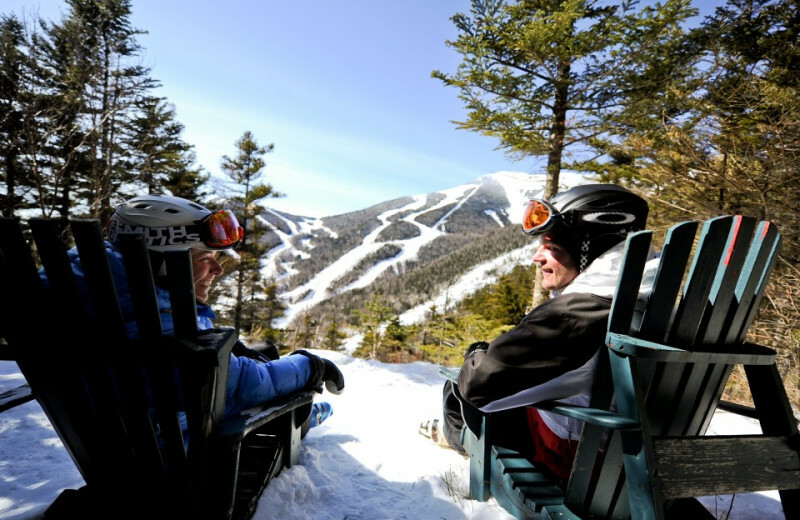 Let your inner outdoor enthusiast free at your next New York getaway! 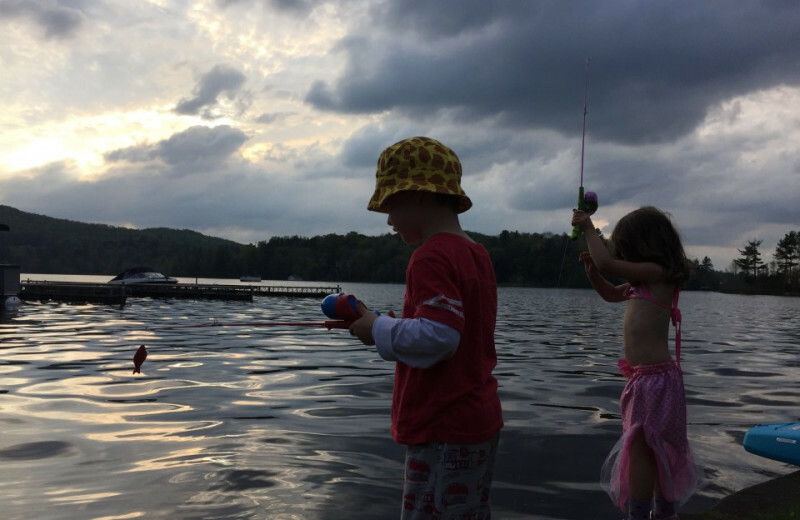 Fish the Adirondacks any time of the year when you stay at Gauthier's Saranac Lake Inn! Their premier location invites you to come and experience a lure or fly-fishing adventure. Bass, trout, land-locked salmon, walleyes, muskies, and northern pike are only part of the fishing list here. If you prefer a trophy game, Lake George and Lake Champlain are ideal playgrounds, but if you enjoy fly-fishing, then Ausable River is a legendary choice! 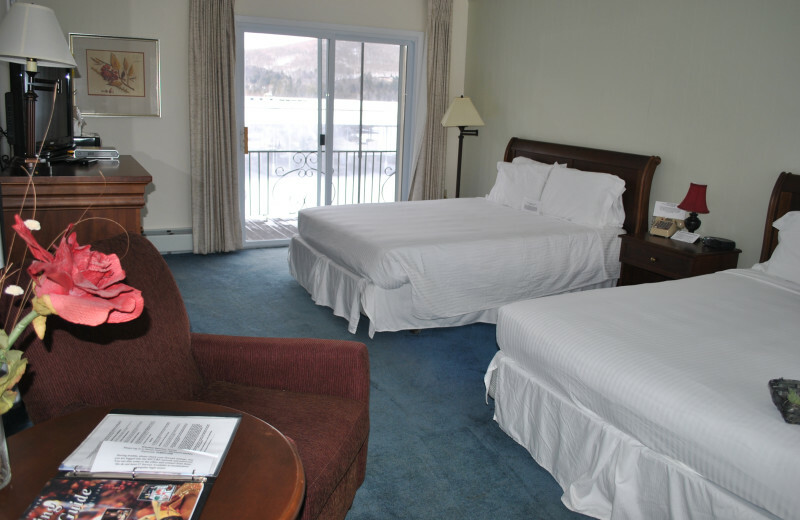 For the most romantic getaway of your life, book a weekend in Gauthier's Saranac Lake Inn's Lakefront Queen Suite. 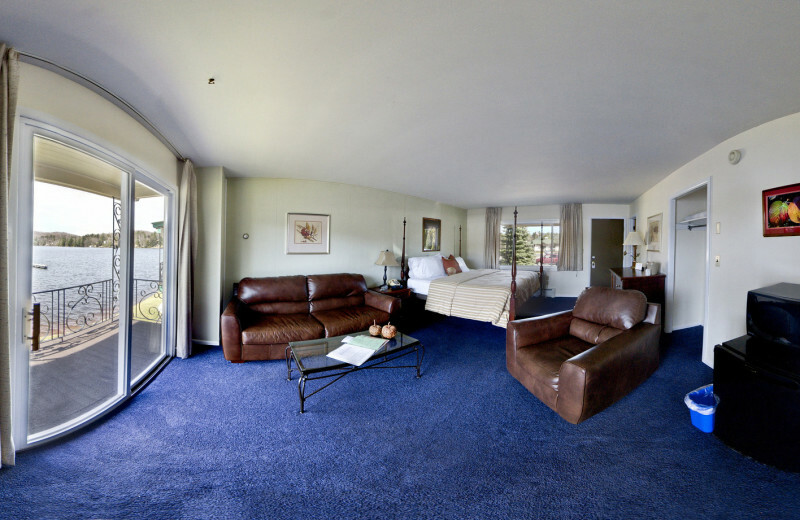 Your sweetheart will love the view of Lake Flower from the room's private balcony. You both can rejuvenate in the full-size bathtub and reconnect. When you're ready for a little adventure, spend a day kayaking across the lake, or hiking through mountain trails. 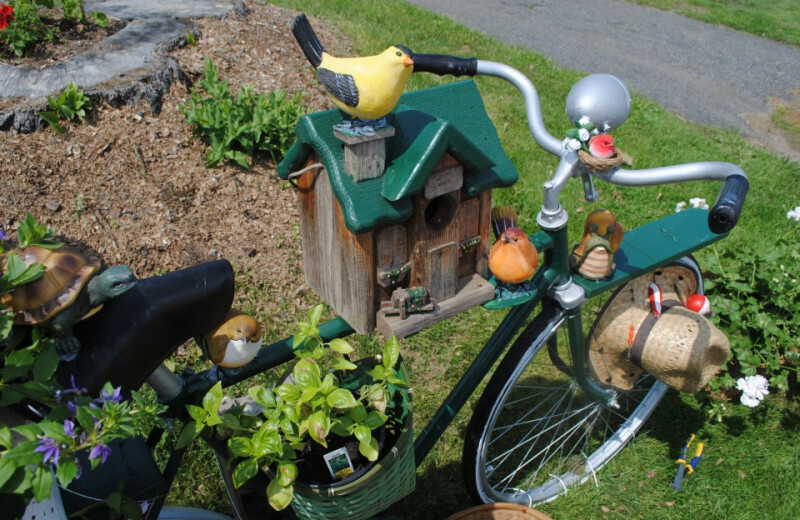 Romance comes alive in the Adirondacks! 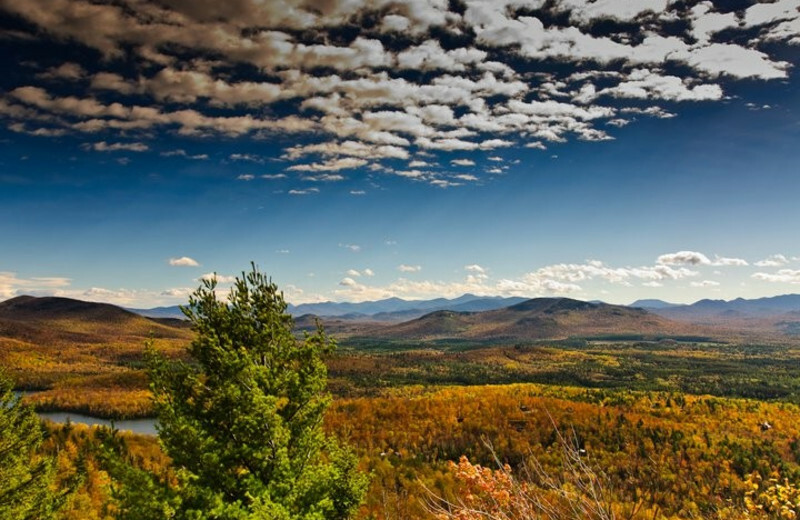 More than 2,000 miles of the most scenic trails in New York await in the Adirondack Mountains and Gauthier's Saranac Lake Inn is your fast pass to endless outdoor adventures. Whether you're here for the waterfalls, the summits, or the lakes, you're sure to discover some of the greatest natural surroundings during your trip. Don't forget to bring your camera along! 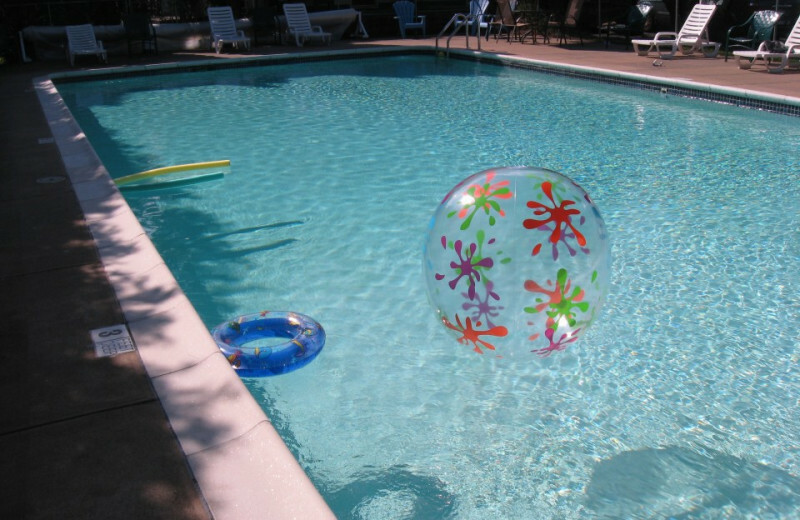 Lake Flower features 300 acres of fun! 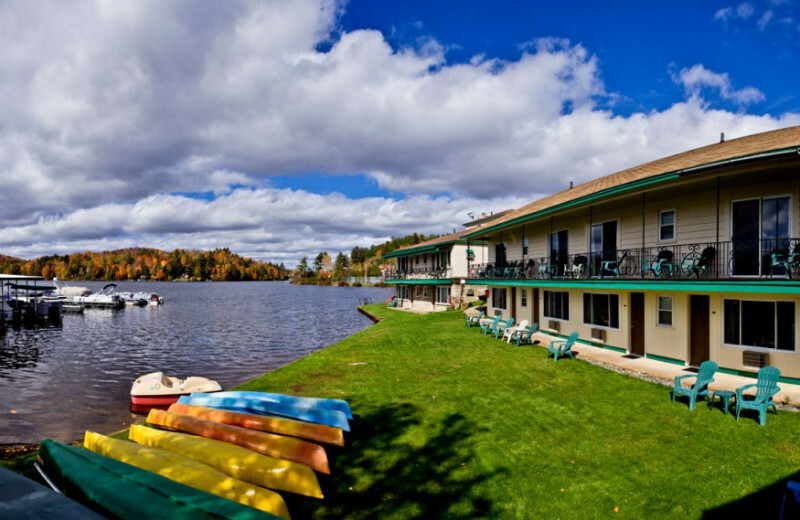 Gauthier's Saranac Lake Inn rests right beside the beautiful lake and offers stunning mountain views and endless water activities. 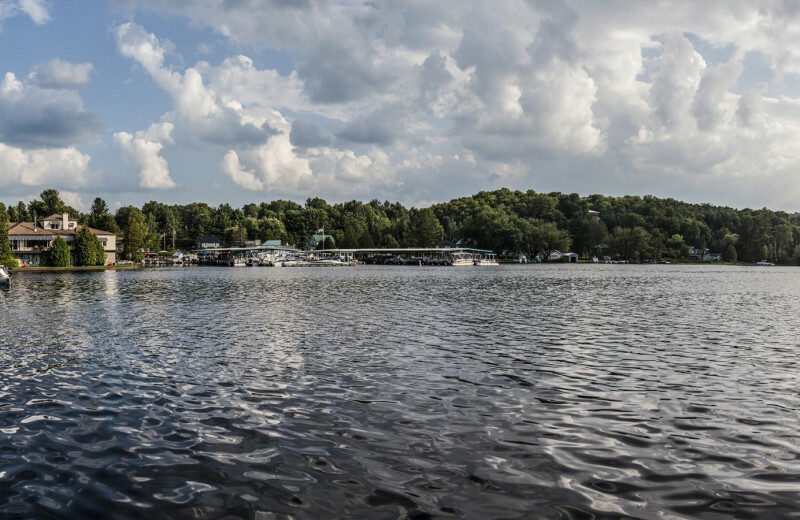 Take out a kayak, canoe, paddle-boat, or a stand-up paddle-board to explore the lake at your leisure. The lake is also home to the annual Willard Hanmer Guideboat & Canoe Race. 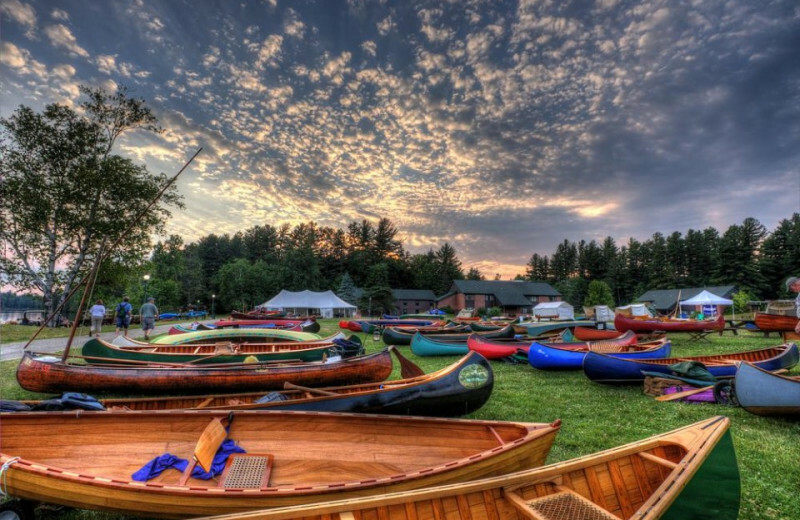 This race is held each July in Saranac Lake since 1962 and it consists of a race of ten miles for guide boats, canoes, and kayaks! Come experience it all for yourself on your next New York getaway! Gauthier's Saranac Lake Inn features 31 eco-conscience guest rooms that fit any style, occasion, and budget. Their modern amenities include wireless internet and an IT support helpline for your convenience. 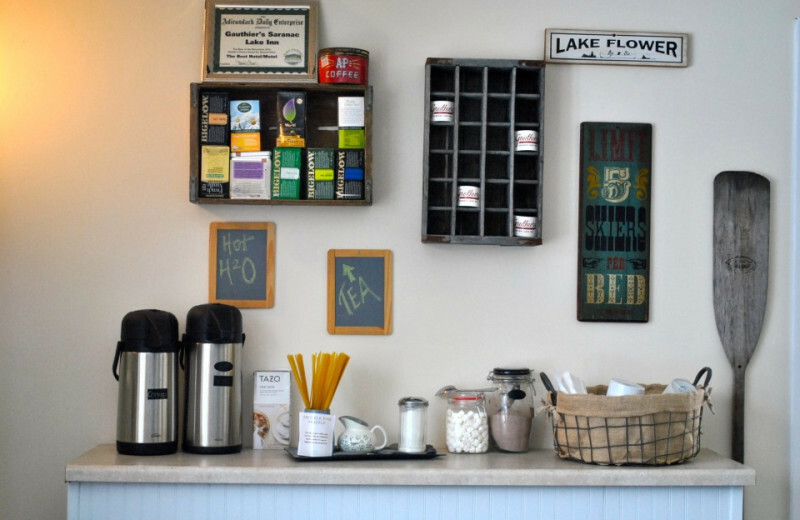 All rooms can be equipped with a microwave, refrigerator and DVD player upon request, but you will always find a Keurig coffee maker and Organic linens from Ralph Lauren. 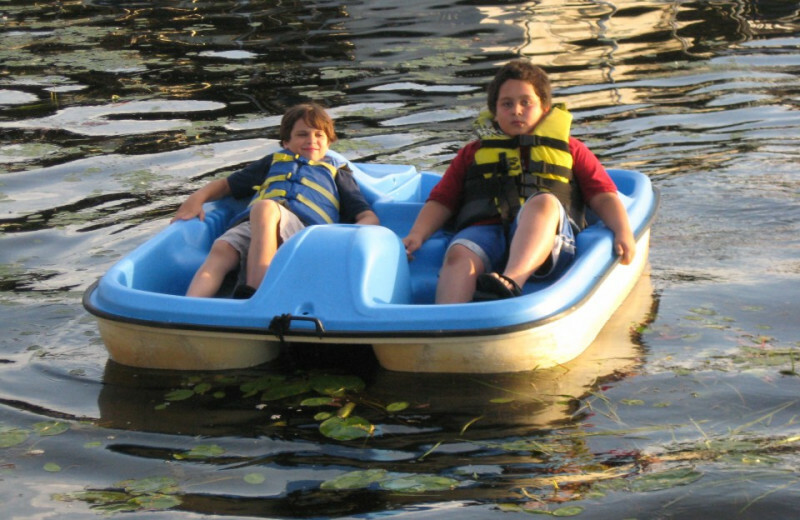 All guests have free use of kayaks, canoes, paddle boards and paddle boats. 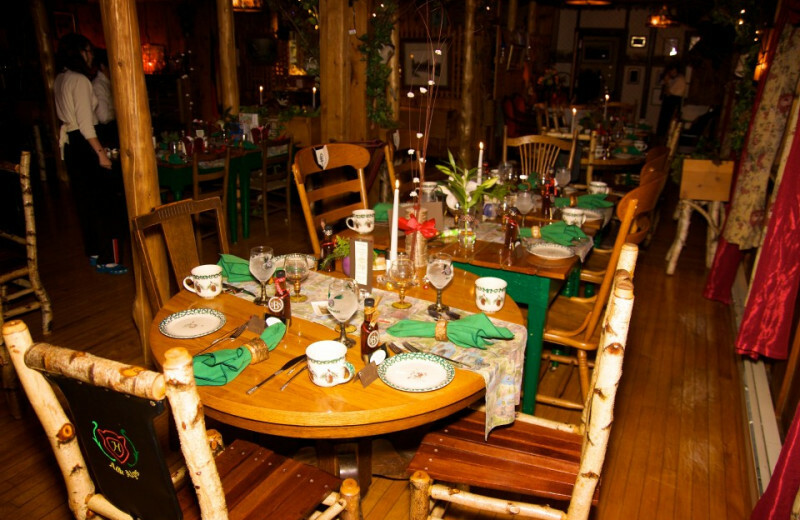 Gauthier's Saranac Lake Inn is the ideal place to stay on your next Saranac Lake getaway!